The Strategic Planning Workshop Series is a hands-on, highly interactive sessions, and process-focused workshop where individual, employees or organization team engage in intensive discussion and activity through critical thought process to identify, analyze, formulate, develop, and refine and fine-tune every aspect of ideas, project, business, organization for a successful change and growth. Each training workshop is needed by every organization, entrepreneur, start-up and employee at every stages of business development and management to move to the next level of growth. Methodology: We provide participant with training materials, certificate of completion, group activities, case study, vital tools and resources for immediate knowledge to business/job transfer implementation. Outcomes: Confident to think differently and out-of- box to develop ideas and get generate solutions, breaking down a complex issue leading to visualizing target direction and destination. Time-frame: The Strategic Planning Workshop Series is made up different workshop module topics. Each module workshop is for one full day involvement for participants. Participant can take The Strategic Planning Workshop Series during schedule program or contact us to deliver workshop series at their convenient time and place. Grace period of one-week advance preparation and one-week post-workshop review and consolidation period. Who should participate? The nature of this workshop requires strategic decision making that is often the domain of organization’s decision-makers, CEO’s and senior leadership most responsible for business decision, corporate communications, marketing and brand management and marketing communications. E.g. Executive Directors, Corporate Communications Managers, Entrepreneurs, Managing Directors, Brand Management, Public Relations/Managers, Media Relations, Advertising Agents/Media Practitioners, Strategic Planners, Marketing/Managers, Marketing Communications/ Managers, Directors/HODs, Administration, Marketing & Advertising Managers, Start-Ups, Companies Front-Desk Employees, Decision- Makers, Managers, CEO’s, Ministers, Business Advocate, Industry Expert, Change Agent, Politicians, and Head of Schools. Register for Strategic Planning Bootcamp to learn how to develop effective strategic planning, create strategic awareness and uncontested market space that will make your competitor irrelevant. Learn about internal and external analysis tools to develop your competitive advantage, unique selling point and profit bottom-line. Strategic Planning Bootcamp is critical to successful organizations, as it provides forward-looking direction, outlines measurable goals, helps guide key decisions, and provides structure for evaluating progress and data for taking corrective action. * Create strategies that are easy to understand, implement and measure. * Identify risks and roadblocks early so you save money and time by not being surprised by uncertainty. * Create a strategy that your whole team will get behind and work towards. Training Venue (Lagos): 3A Ajoke Okusanya Close, Off Opebi Road, Lagos-Nigeria. This is the part of the Strategic Workshop Series helps to improve what you are trying to do, gain insight that will help you move forward your idea/project or other activity through innovation process and resources to focus on what to retain and change.What makes you do what you do? Expose you to great opportunity to do something new and exciting by thinking differently through people’s different viewpoints, perspectives on particular issue. Fee Include: Training Material, Light Refreshment, Certificate, and access to the exclusive training group discussion. This is the part of the Strategic Workshop Series that help you to visualize exactly who you are trying to reach and how. Profile your intended audience or target and people your work might reach and the resources you need to do so to added value to their bottom-line. 3. Strategic Approach to Solving Business Issues. This is the part of the Strategic Workshop Series pushes you to deconstruct all possible causes for the problem rather than the obvious ones. Ground your thinking in defining problems, possible outcomes and seeing changes taking place. 4. Strategic Business Process & Operation. This is the part of the Strategic Workshop Series open your eyes to see your organization’s operations, key activities, product & services and different ways in which you stakeholder. Overview: This is the part of the Strategic Workshop Series that identify the stage that shows where you are at and will like to be. It helps you to sketch out alternative business models for the same product, service, or technology. You will identify key weaknesses that need to be worked upon in order to succeed, reconsider and improve the next steps in your process. 6. Strategic Business Sustainability & Implementation. This is the part of the Strategic Workshop Series is a structured description of how you do what you do within your time-frame and budget and build upon your success by sustaining and growing it further. 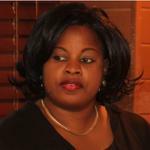 Olutope (Topsie) Olatilewa E. is facilitator and trainer with over 15 years of business management experience and expertise. She is a business strategist; she teaches economic empowerment by helping people turns their ideas into reality. She has trained thousands of company employees, businesses, graduate such as CBN, GIS, Standard Alliance Insurance etc.